A request to grant extra credit to students who attend an upcoming guest lecture by Fox News commentator Katie Pavlich at Kennesaw State University on the subject of “Fake News” and liberal media bias has drawn the ire of one professor. The event, slated for March 7, is hosted by Young Americans for Freedom and aims to “celebrate women’s month by hearing from speaker Katie Pavlich as she discusses the ways in which media is being used as leftist propaganda,” according to the group’s Facebook page. The email exchange was prompted by Young Americans for Freedom’s request to various professors to allow students who attend to earn extra credit, as it’s apparently a common practice for educators to dole out such credit for other campus groups’ speaker events. In his response, Wilkinson expressed distaste for the use of the phrase “fake news” in a promotional poster for the event. 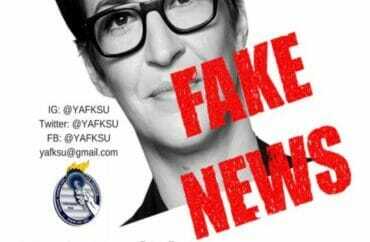 Created by YAF, the term was stamped on the face of MSNBC’s Rachel Maddow. “One does not have to adopt, love, or even like the contrary position, but one owes it to one’s self and to the rest of society to, at the very least, listen and make an effort to understand what the other party’s stand, circumstance, or situation happens to be,” he wrote. Upon hearing back from YAF, Wilkinson replied that he deemed it acceptable to encourage his students to attend, but only if to “make her earn her money” by going after Pavlich “like a mad dog in a meat store,” apparently citing a phrase his former football coach used to say. In a final email to the YAF student organizer, Wilkinson voiced criticism of the U.S. military and the motivations of warfare. In an email to The College Fix, Professor Wilkinson made no comment on whether or not he stands behind his original statements. He did, however, compare commentary on his exchange with YAF, which the group has written about on its website, to that of Jesus Christ. In his email to The Fix, he argued his quotes were taken out of context, and cites in comparison the short sentence “Jesus wept” as also being frequently taken out of context. When reached for comment, Kennesaw State University did not immediately reply. 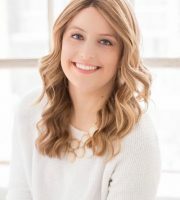 Kathryn Hinderaker is a junior at St. Olaf College in Minnesota. She studies political science, media studies and management studies. Kathryn is president of the St. Olaf College Republicans and founder and president of her campus’s Turning Point USA chapter. Her campus efforts have been featured on Fox News, Minnesota Public Radio and Twin-Cities Public Television. In addition to The College Fix, her writing has been featured on the Minnesota Star Tribune.